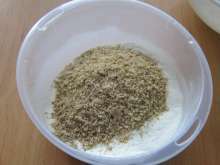 Finely chop walnuts in the kitchen chopper or grind it. 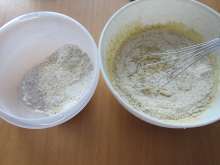 Combine it with flour and baking powder. Beat together eggs, milk, oil and sugar. 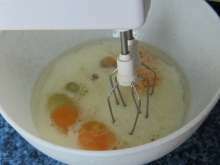 Gradually stir powdery mixture into the liquid mixture. 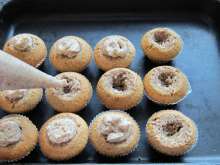 Place paper cases into the muffin tin and fill them with the dough almost up to top. 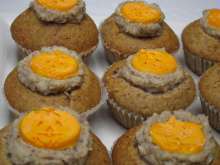 Let it bake into the preheated oven for 20-25 minutes at temperature of 170-355°F (180°C). Beat the butter with sugar and beat in the cream cheese. 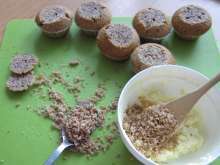 Cut top of the baked muffins and with the teaspoon hollow out part of muffin centre (about one small teaspoon). 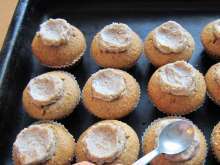 With the hands crush the chopped chunks also inner parts of muffins and stir the crushed pieces into the cream. 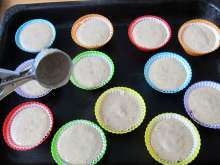 Fill the confectionery bag with the cream and spray into the centre of muffins. With the spoon dipped in water level and create small hollows. 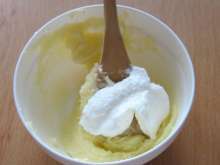 Place the cakes in the fridge so the cream hardens. 9. Halloween pumpkins from confectionery poured fondant. Color the white poured fondant with a little orange food coloring. Thinely roll it out on a board dusted with corn starch. With cutter cut the frightful pumpkins. 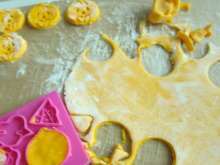 We used the form from baby set of game with plasticine. 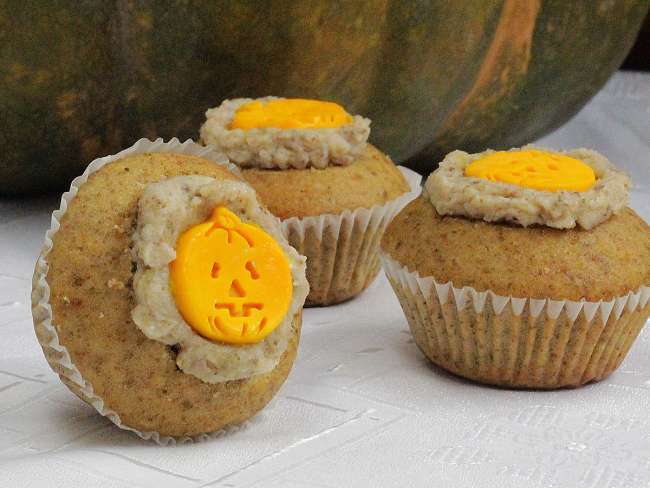 Remove the excessive corn starch from the pumpkins with brush slightly dipped in a water and decorate the cupcakes.